Wedding stationery set with an autumnal floral theme. Warm autumnal colours make the beautiful painted watercolour flowers stand out in this set. The colours lend themselves to autumn and late summer weddings. As the nights draw in, these invitations drawn in your guests to what will be an elegant and cozy day celebrating your love together. 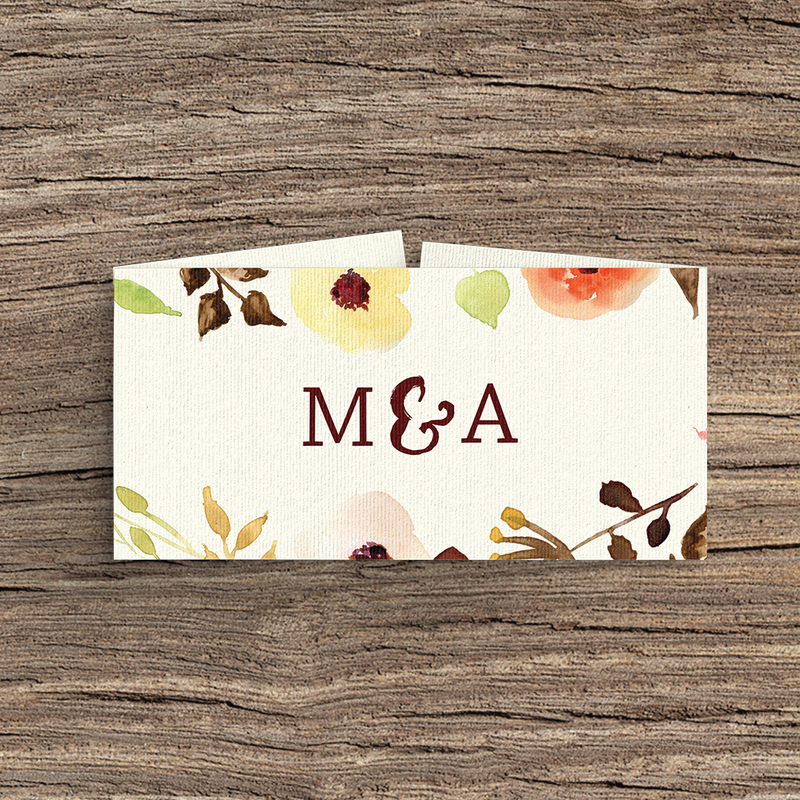 This set is beautifully printed on 280gsm laid acquerello art cardstock. Invitations and RSVP cards come with matching ivory envelopes.